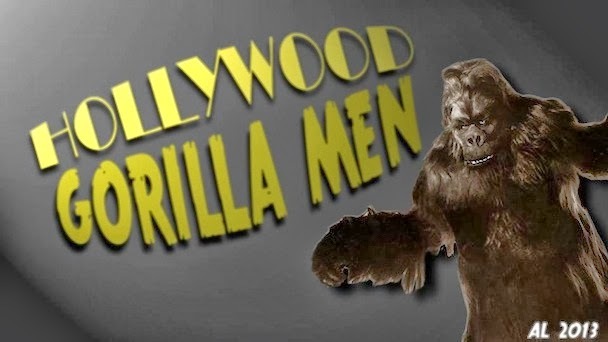 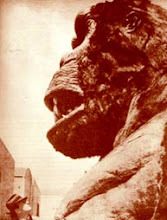 Way, way back when I first began this journey into the mysterious cinematic regions of the Gorilla Men, I recall coming across a mention of an East Indian picture called GORILLA that one would naturally assume, had a gorilla suited lead. 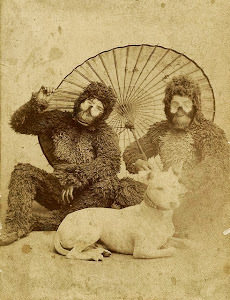 Unfortunately, I was unable to uncover much about it and apart from coming across a few muddy pics of lobby cards on Ebay, I haven't given it much thought in quite some time. 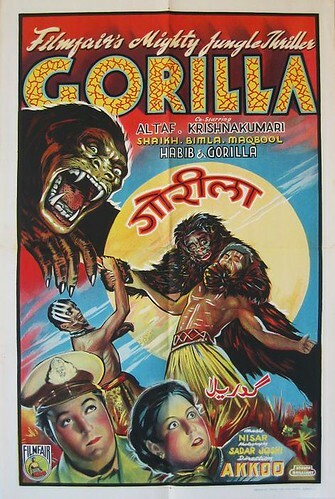 My usual auction crawl revealed the lovely poster above - and the angry fellow tossing about the native has given me a renewed desire to find this early Bollywood offering. 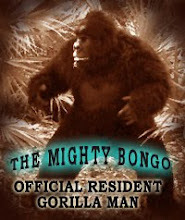 The possibilities of a large scale musical dance number featuring a shaggy simian boggles the mind! 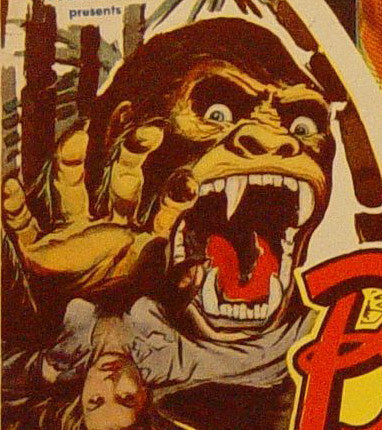 The poster above also features a nicely reworked swipe from THE BRIDE OF THE GORILLA, released two years earlier.